Back in the days when leaving my job in the city and starting my own business was just a pipe dream, I paid a visit to the Open Studios event at Cockpit Arts. It was definitely one of those moments when I realised I had to do whatever I could to make that dream a reality. Cockpit Arts is a hive of creative energy, and here at Just A Card we’re really excited to be partnering with them on the run up to Christmas. I had the opportunity to chat to Janice Hosegood, Head of Communications, about the work they do and the importance of our campaign for makers and the creative economy generally. Tell us a little about Cockpit Arts. What do you aim to do? We work with makers in a very specialised way at Cockpit Arts and what we offer as part of our package is unique. The key benefit as a Creative Business Incubator, is that we have an on-site team of experienced business coaches who work directly with each maker on an individual basis. They also bring in industry specialists to work alongside them in delivering workshops on essential business-building subjects such as marketing and finance management. Every craftsperson who has a place with us has access to guidance and support to help them grow and succeed in the way that they’d like to. We’ve got a proven track record of helping makers and since opening in 1986, we’ve helped thousands of talented people grow their businesses, many of who have gone on to achieve national and international success. Our business incubator model is proven to work, and our impact reports are positive, showing higher than average economic outcomes as well as social and cultural impact. Thankfully, there’s no such thing as a typical day at Cockpit Arts! I work alongside the Communications Manager and together we take care of the website, social media, newsletters and raising the profile of our organisation. Importantly, I have overall responsibility for our twice-yearly Open Studios events and the organisation for that takes up a lot of my time – which I love. Where are you based and what are the studios like to work in? We have buildings in two great locations – in Holborn where it all started in 1986 and in Deptford, at the heart of a growing creative area, which we set up in 2002. Over both buildings, we house a total of around 170 craft-based small businesses but they’re quite different in character. They’re great places to work from – for the management team and the makers – and we offer a flexible approach to studio allocation, so makers can expand as their businesses grow. What do you consider to be the main challenges facing designer/makers, shop and gallery owners at the moment? One of our major focusses is the part Cockpit plays in keeping creativity thriving in London. 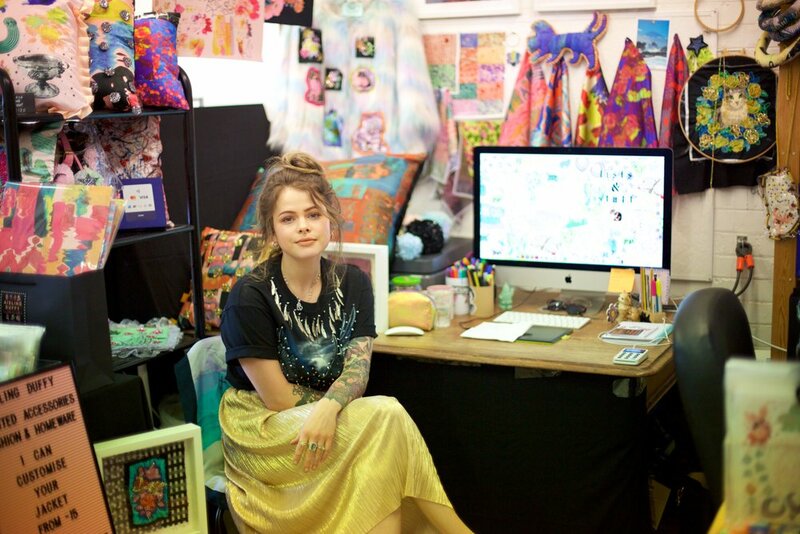 It’s becoming increasingly challenging for craftspeople and artists to find suitable workspaces in the capital as well as build and sustain a successful business. The economic benefits which the creative industries bring are now well documented and supporting this sector is one of the London Mayor’s Office’s top priorities. What ambitions does Cockpit Arts have over the next few years? 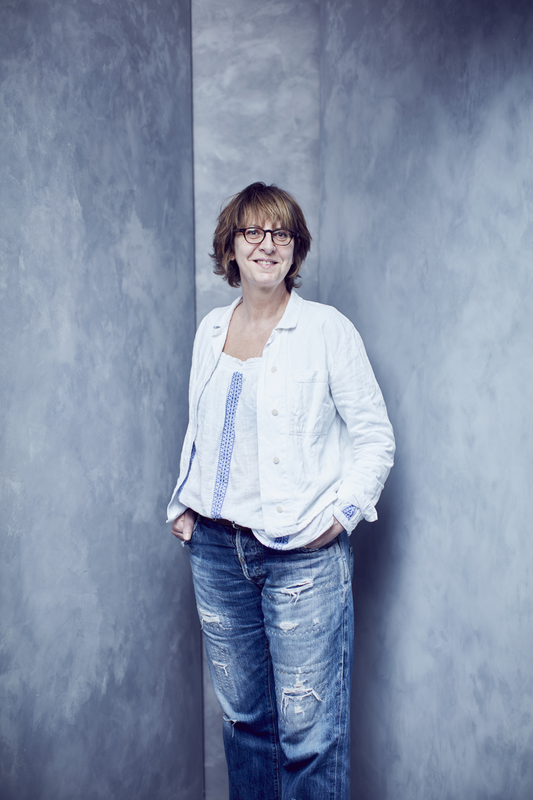 Under the guidance of our new CEO, Annie Warburton, we see ourselves at the forefront of supporting creative small businesses in London. It’s a collaborative structure and although we work with many supportive partners already, we’d like to see that increase. We plan to be loud and proud of our makers’ successes and the wider impact that brings! In my opinion, the road to success is as much about determination, drive and ambition as talent and originality. Being true to yourself is important and identifying what you value most. Don’t be afraid of not knowing all the answers but do arm yourself with as much information as you can and be willing to learn. You’ll work harder than you ever thought you could, but it will be worth it. Tell us about the upcoming Open Studios. What can visitors expect to see? You’ll be able to buy direct from London’s very best craftspeople. You’ll be able to talk to them about their work and see behind the scenes of these amazing small businesses. Cockpit’s makers are represented in renowned stockists such as Liberty’s, Egg, Heal’s, Tomfoolery, The New Craftsmen, The British Museum and represented at prestigious shows including Decorex, The Goldsmiths’ Fair, Chelsea Flower Show and Collect. You’ll meet ceramicists, weavers, jewellers, shoemakers, milliners, bag makers … and more. Talk to makers who work on small production ranges for the home as well as artist-makers who take on special commissions for an international audience. We’re also previewing an exhibition of Cockpit maker portraits by photographer Alun Callender and have some rising stars of the Jazz world joining us with Friday evening music. We see Just A Card as a great initiative which has been incredibly effective in getting across the message about supporting small businesses. We’re all striving together to do what we can in helping talented makers and it’s great to see the success of this campaign. Where did you hear about the campaign and which Social Media platforms do you use most frequently? Has social media played an important part in raising the profile of Cockpit Arts and your Open Studios events? Social media plays a hugely important role for all creative businesses and Instagram in particular. I first noticed Just A Card on Instagram when friends started talking about it and have watched it grow over the past couple of years. I introduced Instagram as a marketing tool to Cockpit when I started nearly 4 years ago, and we have great fun with it. It’s a fantastic way to show all aspects of Cockpit and our makers and we get great engagement with our audience through it. Just A Card is our partner for Christmas Open Studios this year and it feels like a very natural collaboration. Supporting Just A Card is about visiting events such Cockpit’s Open Studios, buying from our independent makers and helping to spread the word. Mentioning the makers, Cockpit Arts and Just A Card, along with #cockpitartsopenstudios and #justacard really helps to gets this message across. Forget Black Friday! Join Just A Card Indie Week!